Do you wish to join the financial sector in the job market? Being a debt consolidator or debt manager as most people call them would be a good path towards achieving your debt management or debt consolidation dreams.So, whether you intend to work for non-profit making firms or for the profit making firms, read on for some powerful tips on how to be the best debt consolidator your firm could ever ask for. 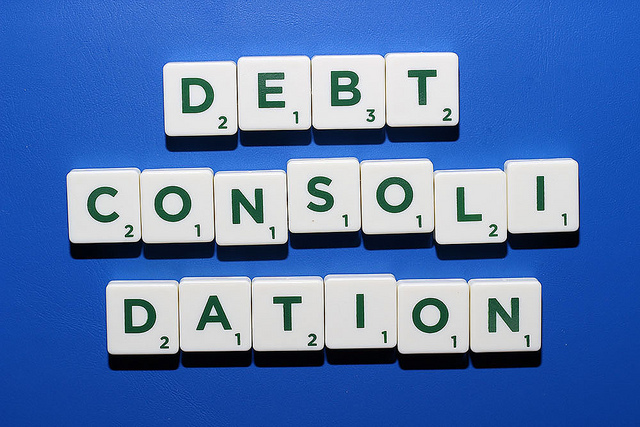 First things first though, what exactly is debt consolidation? Debt consolidation is the act of taking out a substantial loan so as to pay off a number of debts and liabilities that may be weighing you down financially. Generally, unsecured debts are the best to settle with a debt consolidation loan. Basically, several debts are combined into one single but larger debt. However, this single and larger debt usually comes with more favourable loan pay off terms compared to the multiple debts including but not limited to lower monthly payments and/or lower interest rates. Getting into the debt management career, you must understand that being a debt manager requires a lot of confidence and good communication skills. Believe it or not most of your time you will be spent communicating with clients and/or credit companies. And since it is the duty of the debt consolidator to create a working financial plan and suggest loans to pay off clients’ debts, communication and confidence are a must. In addition to the above, being a debt consolidator is about educating the public (esteemed clients) about debt consolidation and its benefits. It is your responsibility to give clients advice on whether debt consolidation is an option for them or not. To become a good debt consolidator, you must above all other things represent your firm’s debt consolidation services to the fullest and in truth. Certification is very important,especially in this day and age. You must go to school, get your certificate, diploma or equivalency before venturing into the job market. As matter of fact, it is your academic credentials that will place you in a good job position. Moreover, debt consolidation firms nowadays have totally different academic prerequisites for their different job vacancies. Some positions are more demanding than others when it comes to academic qualifications. Therefore, to be a good candidate, education is a must. In some debt consolidation firms, higher education certification is not mandatory. However, it is an added advantage when you are in search of a new job. Therefore, if you have the time, the money and of course the passion to be a successful debt consolidator, seeking higher education certification is the way to go. So, which are the best degree courses to take, you might ask? Pursuing an associate’s degree in either business management, financial management or any related fields will be good enough to secure your future in the world of debt management. Finance, economics and business administration are also excellent educational paths that you can take for a brighter future and successful career in debt consolidation (or debt management). For you to get yourself well acquaintedwith the job market, you have to have work experience. As the saying goes, ‘knowledge is power’, and a little experience will prepare you for the demanding job market. Therefore, find an organization that you are pleased with and join the financial sector in that organization even if it is internship without pay. At the end of the day, the experience will pay off in kind. You can also learn more about debt management from debt consolidation websites online. For example- nationaldebtrelief.com is an excellent source of information for anyone looking for knowledge, facts and awareness on what debt consolidation is all about. Depending on your locality, ensure that you have the right debt management licenses. If you don’t know where to start or where to look, talk to a well-established debt consolidation firm and inquire on what is required before one is issued with state licensing documents and how much they cost. Now that you have experience and licensing, it is time to look for a more serious job position in non-profit making or private consolidation agencies. Thanks to technology and the use of the internet, it now easier to search for a job online. Additionally, local newspapers and classified boards are also a good source of information when it comes to job seeking. But before that, you must have a good resume for each job application you fill. Ensure that your cover letter and resume match the job description because like mentioned earlier, all debt consolidation firms are different and their hiring criteria are too. Also, do not limit yourself to one job description. Apply for as many positions as possible as long as they relate to your academic qualifications and working experience. By so doing, you will be able to discover the best job for you within the vast debt consolidation industry. A good debt consolidator should have excellent communication skills and be able to relate professionally with his or her clients. At the end of the day, the success of a debt consolidation expert is measured by the way they handle situations whenever they face a creditor or a debtor. And because the debt consolidation expert always acts as the third party, this means that their negotiation skills should be on point and so should their relationship with their clients. Owing to the fact that it is almost impossible for a great majority of people to operate without debt, debt consolidation services are in high demand. And for this reason, more and more job opportunities keep emerging in the financial sector as a whole.